Want to learn more about migrating SharePoint documents? I'll show you how easy moving documents to a new location is with Sharegate! 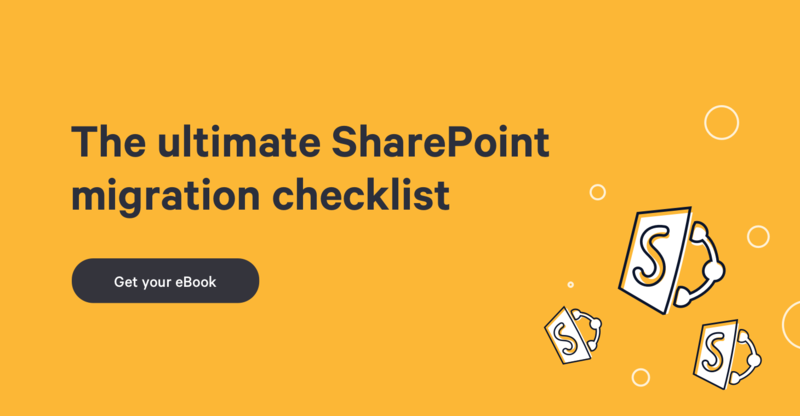 Before the migration of documents to your new SharePoint environment can take place, we need to tell Sharegate that we wish to "Copy SharePoint Documents" by selecting it in the Sharegate menu, and then specifying exactly where we wish to copy the documents from. The following images give you an example of what you should be seeing on your interface. So let's go ahead and choose the proper action, as well as enter the copy location in the specified field, or select it from the drop-down menu. HINT: The most effective method for ensuring you enter the correct location in the "copy from" field, is to visit your current SharePoint location with your browser, copy the exact location, and simply paste it into this field. This eliminates any risk of error when entering your location, and makes the document migration. Once you've entered the location of your current SharePoint documents, you will see your entire environment conveniently listed on your interface. Locating your specific document library to be copied is as easy as simply selecting it from the list. Let's choose the document library where our documents are. Then click Next at the bottom of the page. The below image illustrates exactly how easy selecting your document library is. Now that you've set up your "Copy from" portion, you've completed half the task...and it only took you a few minutes. The rest get's even easier! Sharegate will now ask you where you want the specified SharePoint documents to go. Here, as shown in the below image, you simply need to enter the URL of your current SharePoint site. Again, to ensure the risk of errors is eliminated, you should copy your exact URL, from your browser, and paste it here. Similar to when selecting the specific "Copy from" location, once you've reached this point in your migration process, Sharegate conveniently lists all elements of your new SharePoint environment, all you need to do is drill down and select it from the populated list. Choose the library you want to migrate your documents to, and click Next. At this point in the migration process, your Sharegate interface will be conveniently split into two convenient sections: The "Copy from" section, which contains a list of your location's contents (your old SharePoint environment), and the "Copy to" section, which shows everything in your new SharePoint destination (if you're migrating from scratch, it is very possible that this section will be empty because you haven't migrated anything into it yet). Select the documents you want to move then click Copy, or Drag and drop your documents into the right-hand window. Note that you can change the SharePoint View according to your needs. You're almost done! All that's left is choosing the template you want to use to copy your documents. For this example, I chose Full Copy, because it takes everything and maps my document properties the exact same way in my new library, if the same properties exist in my new library. What this means is if, for example, there's a column names "Title" in my old document library, and a column named "Title" in my new document library, Sharegate will map it automatically, so my documents will preserve the metadata information.Therefore, using the "full Copy" option will make sure all my new columns are population with the exact same data as the corresponding columns in my old library. SharePoint Document Migration is Now Complete! You're DONE! It doesn't get any easier than this! Also, notice how my Modified Dates are the same as they used to be? Amazing! This is how easy migrations are with Sharegate. This tool literally shaves hours off your migration process, and even safeguards against potential errors! True SharePoint management in its finest and simplest form.